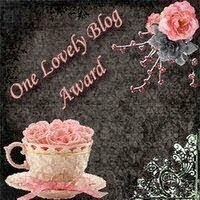 I have the lovely Pink Diaries http://huesofpink.blogspot.com/ to thank for this! :) I'm extremely honoured, to say the least :) Take a look. Some of my favourites! :) Thanks again, Pink Diaries..quite an incentive to come up with more innovative posts:) And bloggers who I'm passing on this award to, post about this award from me and pass it on to your 7 favourite blogs who deserve this. For the Love of Fashion and Other Things... Congrats. :) I'm so very proud of you. Its the first in a long line of accomplishments and accolades to come. :) And its all because of your effervescent style of writing. Keep posting more such fascinating pieces for us. Eagerly awaiting the next one to know whats latest in the ever changing fashion world! Oh darling congrats on your award and thank you so much for honoring me! come check it out darling! @Rita: Thanks so much! :)Welcome to blogging! Congrats on your award, you really deserve it, love your choices to pass it on to. ohh so sweet. Take a look on my blog and feel free to follow me. I would love if we could follow each other, ohh and if you have twitter you can add me too or facebook . I would be so glad. Congrats!!! !!! You deserve every bit of it. i'm already following :D i loove your blog!! follow me if you'd like! @Nicole: Thank youuuuu! Very cute blog! :) Follow mine fore more! Awesome, that's so cool! Congrats on receiving that award. Hope you become a follower and stop by sometime, I followed yours! thank you sooo much!!! this is so sweet!